It’s summertime and, according to all the songs about summer, the living is supposed to be easy. Aren’t we supposed to be cruising around with our cars, relaxing? I don’t know about you, but unless you’re a kid, summertime just seems like any other time of year, except hotter! Between your full time job (or several part time jobs), a side hustle if you have one, family life and (hopefully) vacation, you might feel as overwhelmed as I am trying to plan everything. While our phones can be curses, they can also be blessings. Luckily for us, there are 5 apps (on your phone or otherwise) designed to help you stress less and relax during summertime – and year round. After you’ve put down the productivity apps, consider picking up one or all of these 5 apps to help you relax, get healthy, and take care of yourself. Need to relax and meditate? Omvana is a free app that offers mindfulness, meditation, and personal development audio tracks. Features included guided meditation, meditation lasting from 3 to 60 minutes, a background music mixer to personalize your meditation, and even tracks to just help you sleep. Do you need someone to vent to, but have exhausted your supply of family and friends? Don’t scoff – sometimes having a neutral ear to vent to is all you need to feel better. 7 Cups offers anxiety and stress relief based on chat therapy, counseling, and mindfulness. The app offers fast, free responses from trained listeners, and you can choose you you talk to. This app is designed to provide an outlet where you don’t feel judged, and you can choose the times you’d like to talk. Need inspiration? Open up an inspirational TED Talk! There are TED videos for virtually any topic you want, but for stress, the inspirational talks are probably some of the best. 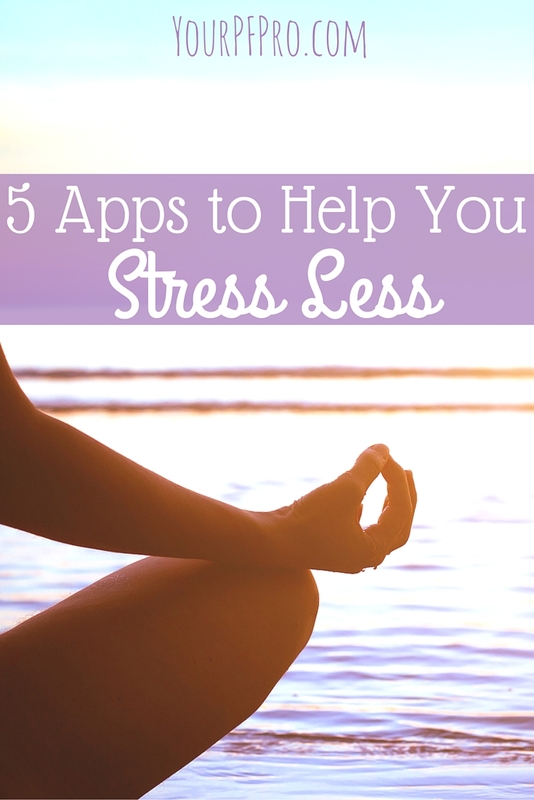 You can also watch (or listen to) TED talks on psychology, mindfulness, and stressing less. Want to get started? Here’s a TED playlist on how to manage stress. HealthTap is basically a doctor on your phone, without the waiting room. If you’ve ever been stressed out wondering about symptoms or a recent diagnosis you or a loved one has received, HealthTap may be an app to help relieve some of your anxiety. You can learn more about health, chat with a doctor about a diagnosis or concerns, and even get doctor-prescribed checklists to help you take charge of your health. Okay, Kill Switch is not technically a “stress less” app, but it is pretty helpful. Kill Switch removes all traces of your ex from your Facebook profile. Basically, in anything your ex is tagged in, including pictures, status updates, comments, Kill Switch will remove all of this. No more being reminded of your ex when you log in to Facebook! 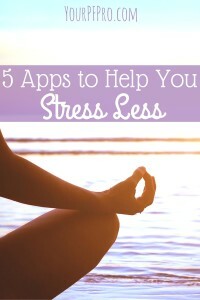 With these apps, you have the ability to take control of your stress and anxiety level to hopefully decrease your stress levels. Living might not be “easy”, but these apps should help you slow down, relax and enjoy your summer a little more this year. Have you ever heard of any of these apps, and do you think you’ll download any of these?